Ruth Norbury is an artist working primarily in fine hand embroidery, textiles and mixed media. I absolutely LOVE this particular piece. 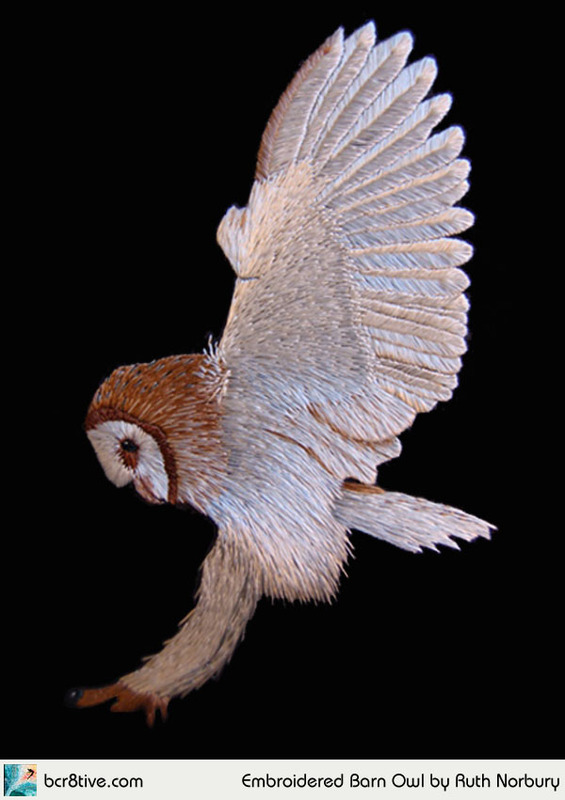 Ruth is not only keeping an age old tradition alive, but thinking outside of the box, she modified traditional embroidery stitching with creative needlework that instilled life into the feathers of this owl. The texture is gorgeous. The motion and realism are notable. Ruth uses her art to raise awareness of animal suffering and environmental destruction. She’s very interested in environmental issues & doesn’t use animal based fibres in her work. Ruth is also an active member of the Swansea Animal Rights Group. Visit her on her website or Follow her on Facebook.